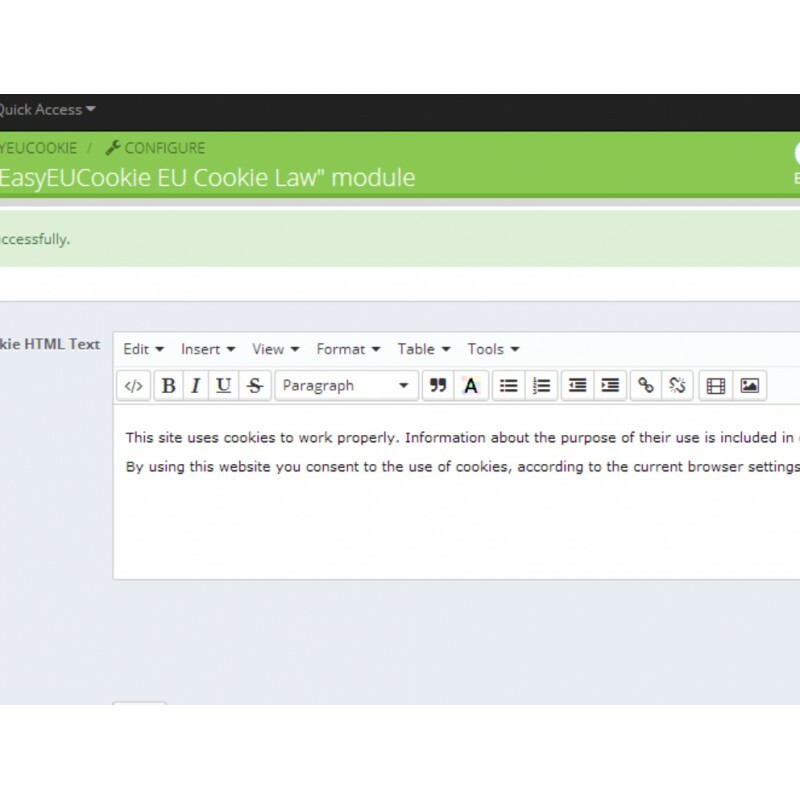 Places cookie notification at site of your shop to allow you to comply with the EU Cookie Law. Places cookie notification at site of your shop to allow you to comply with the EU Cookie Law. Easy and straight forward usage. 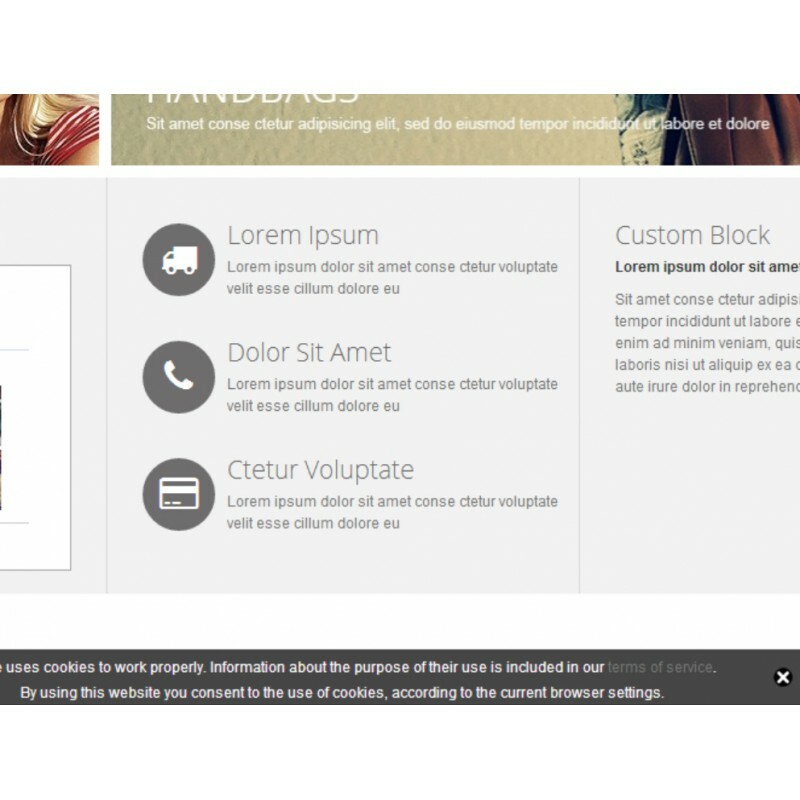 Install the module and you are ready to go.